We offer a full engineering service for our clients from generating ideas for machines and devices to creating the final detail drawings. At the same time we can improve already existing projects of the client, convert 2D drawings into 3D or do a part of the client's project through outsourcing. In such a way we cooperate with bigger clients, who often use multiple outsourcers at one time. 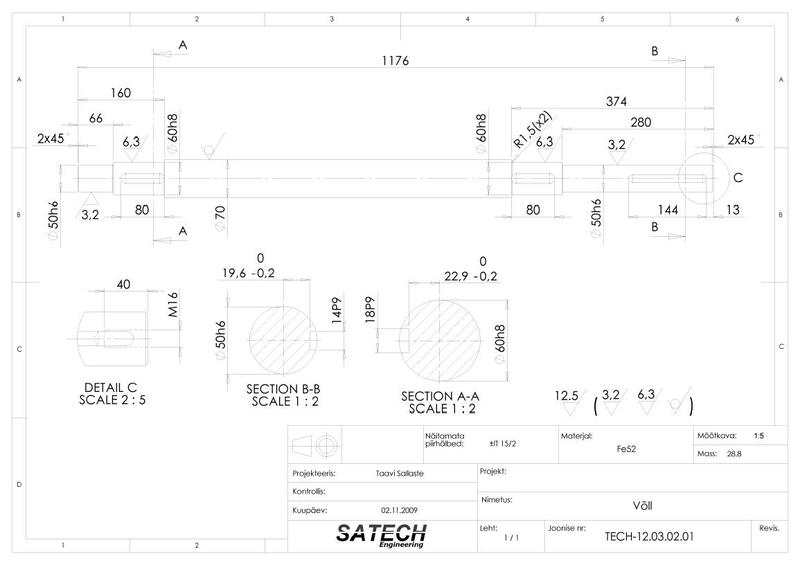 If the client wishes, we can send completed drawings to the client by e-mail (for example in pdf format) and write a CD. We can format working drawings of your solutions, according to the requirements, in Estonian, Finnish, English and Russian.